We live an a world whose trends and fashions change every day. One trend that continues to be on the up and up is modern, minimalistic style. In this modern world, that’s becoming more contemporary year after year, there is still a lot of value in beautiful, quality, old-school carpet as your flooring choice. There is a reason that it’s the flooring of choice for so many families all around the world. It’s warm, it’s quiet, it’s comfy, it’s…cushy. It’s synonymous with many of your best memories growing up and it’s a classic for a reason. 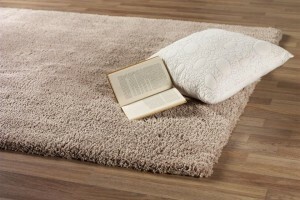 Knox Carpets has an extensive variety available, at low cost. You can think of carpet as the canvas for your home or office’s interior design scheme. Wall paint and decor, window treatments, furniture, your artwork can all take their visual cues from your carpet. It’s the foundation of your home’s aesthetic. Bonus? We’re seeing more and more strong and stain resistant options that can stand up to you and your families. These options, like STAINMASTER, which we proudly offer, stand up to foot traffic and resist spills. So you no longer need to use your children or pets as an excuse. Just think of your carpet installation as a smile investment for the future as your family continues to enjoy it year after year. Companies like STAINMASTER have your lifestyle in mind. They don’t want you and your loved ones walking around on coarse, uncomfortable carpeting. That’s why they continue to introduce foot-friendly, toe-curling carpet options. The reason they’re able to do this is many textile advances in the industry. We’re seeing advances in the fiber, we’re seeing advances in the weave and we’re seeing advances in the backing technologies. The result? Durability, yes, but also refinement in each and every room. The Carpet and Rug Institute, CRI, (yes it exists) points out many other benefits that cause carpeting to pull ahead in the flooring game competition. Some you may not even realize. For one, noise control. CRI’s research has shown that background noise substantially effects any environment where learning or productivity is attempting to take place. Carpets are ten times more efficient in muffling said background noise than laminate or hardwood flooring. Another benefit you may not think of is safety. Carpet cushions the impact of slips and falls. This reduces chances of injury. CRI even put this notion into action. They looked at 225 “slip and fall incidents” on hospital records. Nearly 50% that slipped and fell on hardwood flooring sustained injury, only 17% of those who fell on carpet were hurt. The final benefit surprised us the most, improved indoor air quality. This completely negates previous arguments for improved air quality in hardwood environments. Although carpet traps more allergens and bacteria, it keeps them there. Allergens and bacteria on hardwood floors are more likely to circulate because they’re disturbed by regular foot traffic. Who knew? Any additional questions, feel free to reach out. Also be sure to check out Knox’s extensive offerings and unbeatable prices.